"The Ocean" 17 Mile Drive, Pebble Beach. Sunset on the Pacific Ocean. 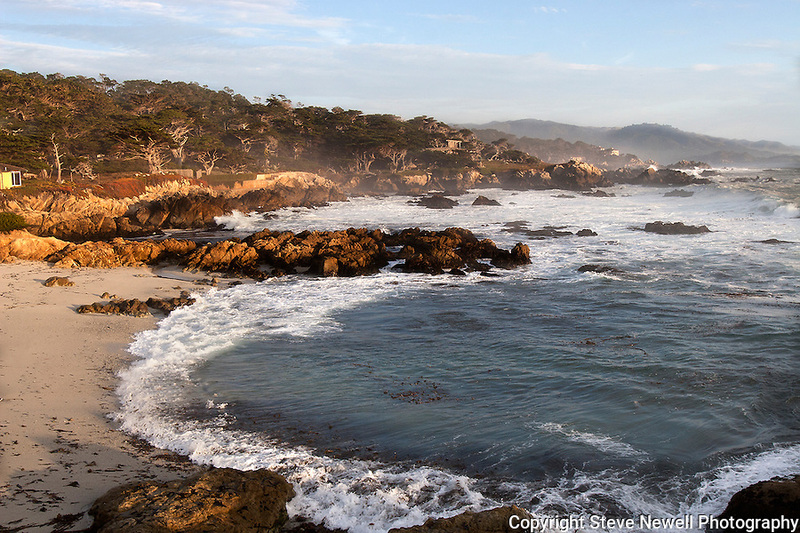 The Cypress trees lining the coastal rocks as the waves crash onto the beach just south of Carmel on a stretch of highway named 17 Mile Drive. This is one of the best stretches of Coastal Highway in all of California. There is a lot more than just Golf at Pebble Beach.